I’ve never really mentioned on this blog my life before Asia, but now, with our recent move to Bangor Northern Ireland, there is no better time than now to share. I have been here now since late December, with Fanfan for most of it, but for reasons, I have been a bit hush-hush on why. 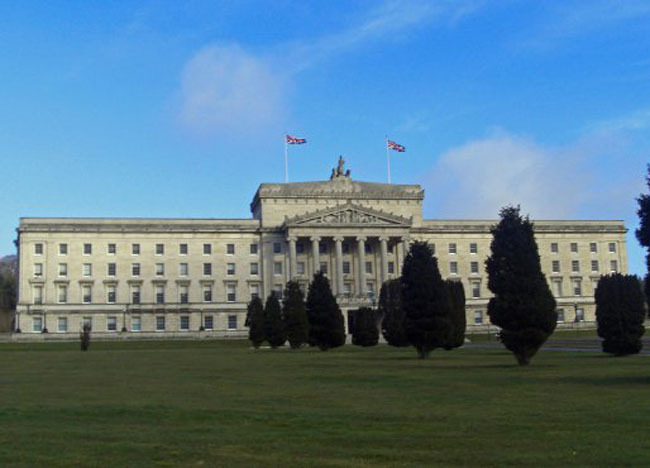 For the past months, in between travels, we have been preparing for the upcoming elections in Northern Ireland (Northern Ireland Assembly Election 2016). This is not something new to me where I have been involved in almost every election here since as long as I can remember. In fact, the day I made my full-time move to Thailand was just days after the previous Assembly election in 2011. These election campaigns are always for my (seemingly retired) parents who have been involved in politics since before I was born. I was kind of born into this role. So my dad has decided to stand again for election this year and I am back on the ground in Northern Ireland as his ever-eager sidekick. The announcement of his candidacy was only announced today, making front page of the local rag, and we have just published 30,000 copies of our own newspaper to be delivered in the electoral area. It’s also my responsibly for delivering them, door to door, in the coming weeks. It’s not fun at all. So normally in elections there will be parties and volunteers splitting the leg work for these campaigns but, with us, it’s just close family. 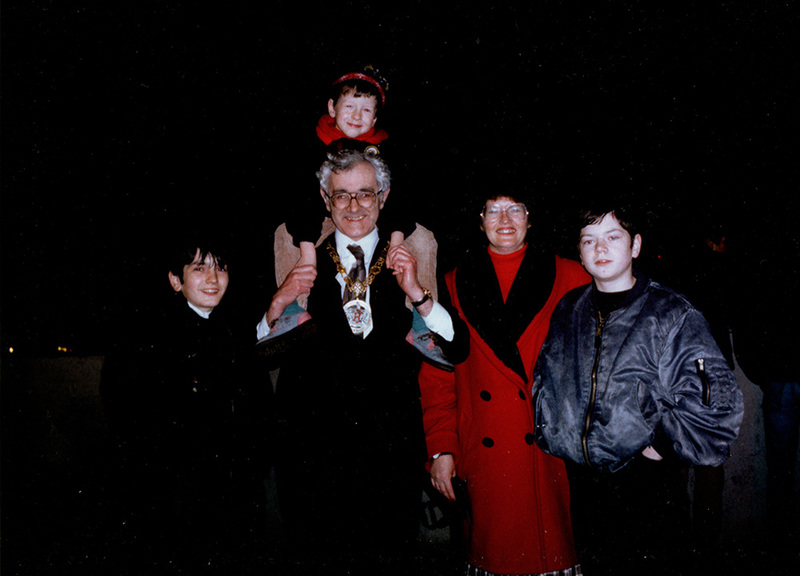 My dad is an independent candidate and while it is extremely hard to be elected without party backing he has done well in the past topping polls (for 20 plus years) at local council level. This campaign, however, we have a new addition to team Wilson with Fanfan joining the force (although she’s back in Bangkok for Law exams right now). But she’ll be back in April and has already helped out with some cute political cartoons for our published Newsletter shown below. Even in Asia I am never fully away from this family role. For me it’s always felt like a part time job, only I don’t get paid for it. It’s all voluntary, although my family will always help bail me out if I manage to overspend on travels (which does happen a lot). So I’ve found myself running campaigns from all sorts of places and backdrops and, even during our recent wedding anniversary in Japan this year, I found myself hurrying together a website for a treasure hunt organised by my dad in our hometown. 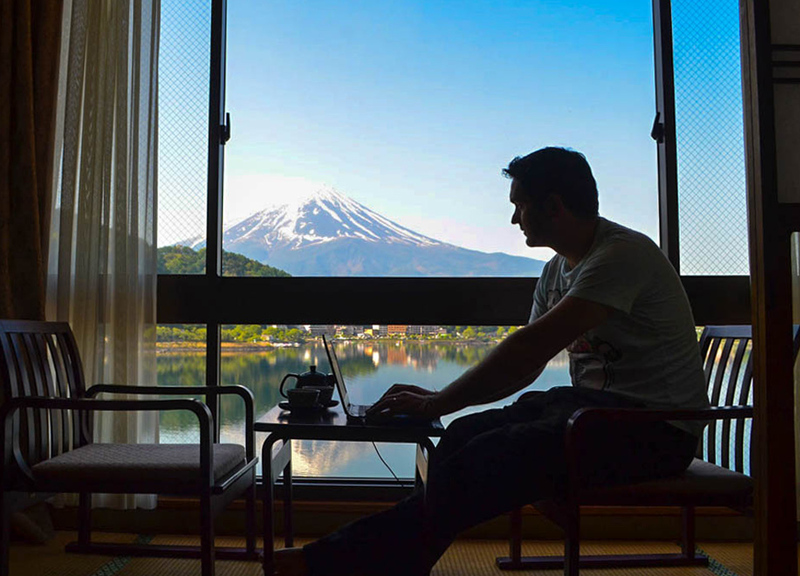 At the time we were celebrating in a Japanese ryokan hotel, with Mount Fuji stood next to us. 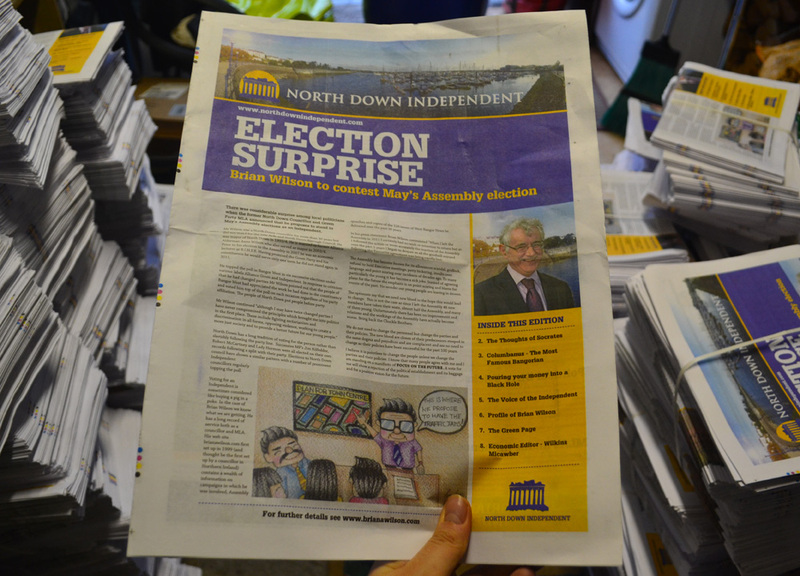 So this is an ongoing job where I find myself publishing Newsletters and leaflets (North Down Independent and West Bangor News) throughout the year, although I now manage to dodge the delivery part of it these days. So over the years I’ve probably published near triple-figure editions of these Newsletters and delivered them to countless houses throughout my home town. It’s not fun. Fanfan has also taken her role here (she’s better with Photohop and Publishing) so my main role is now in maintaining websites and what goes with them. Not fun either. But, while back in Northern Ireland, we will do our best to continue our travels and have managed to travel through 12 countries since arriving including a winter road trip in the mountains of east central Europe. The delivery of 30,000 Newsletter’s will now help me work off my overdoing in beers, goulash and salami. 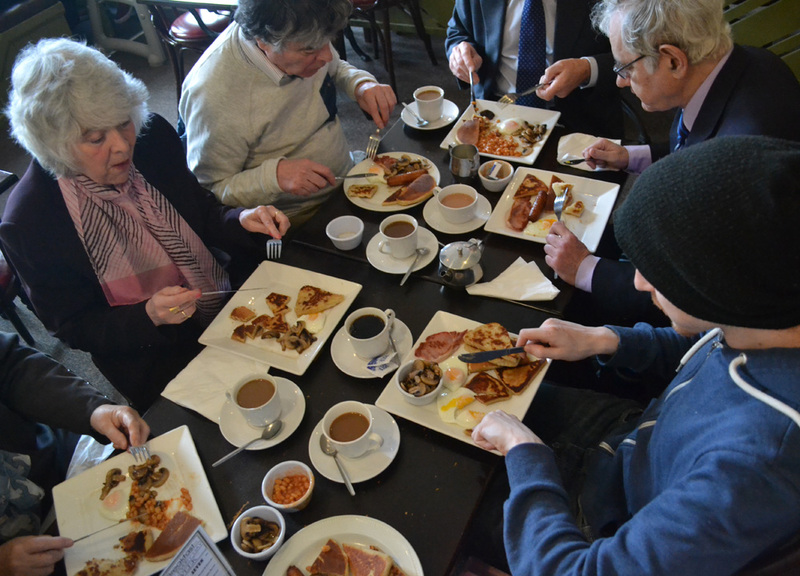 I’ve also put on a hell of a lot of weight with research into Northern Ireland foods. While it sounds like a privilege to have politicians as parents, I can’t say I feel this way. Especially in Northern Ireland. Unfortunately politics here is dangerous and as a child I found us checking under our cars in mornings in case of bombs. I‘ve had my life threatened by terrorist paramilitaries for supporting my parents, and three of our cars have been stolen in the past, two burnt out. Being a politician means being a target in Northern Ireland and my parents, being advocates for peace, means they are targetted from both sides in a seemingly endless conflict in Northern Ireland. So it is hard for me to live a normal life here and no doubt these things helped with my tainted attitude towards my home country, and influenced my move to Asia. Inadvertently, but I should really be thankful for this as I otherwise may still live here. But personally I have no desire or interest whatsoever in politics other than helping my family. These elections are little more than family tradition for me. We’ve always done them. 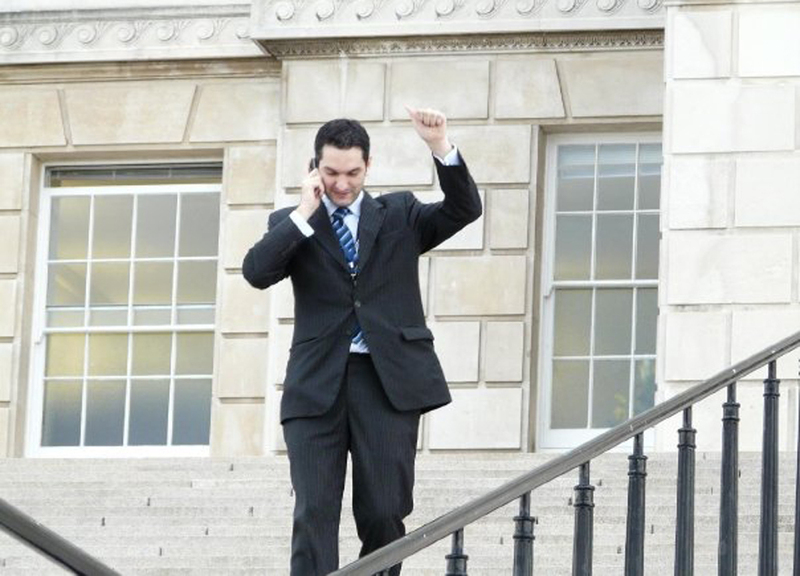 However there was a time when I wore a suit everyday, and worked from the offices of Northern Ireland’s Parliament Buildings next to my dad. I was relatively clueless in the politics around me, and at lunch breaks I felt like a gooseberry, but you don’t really need to know politics to be a driver, secretary, events organiser, office manager, photographer, web designer, videographer… When you live with your boss it’s also like a 24 hour job, but there is of course the inevitable question of nepotism when I am working with my dad. But this was a job I always had done, only now it was full-time, in an official capacity. Just because it is now a paid job, does that mean I need to give it up? My dad even offered me half his wage to stay on, given the chance of him no being able to hire me officially. But there’s always the freeloading politician’s son stereotype attached, which maybe why I never mentioned it in the past. That and I really don’t want to talk about politics, or Northern Ireland. So it’s a world I have always been part of, and knowing that this could be our last ever election has me with mixed feelings. In many ways I couldn’t be happier to leave it all behind, but I will also miss this part of family tradition. 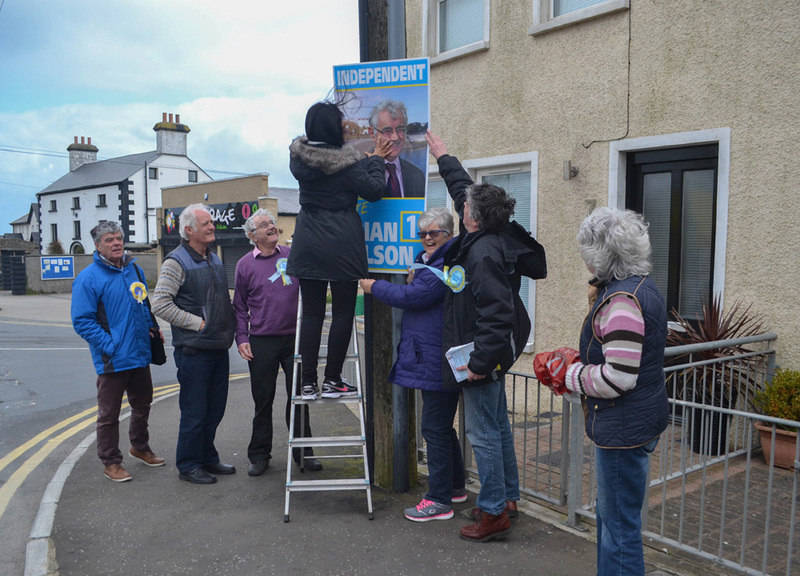 Often with election campaigns it feels like a race to put up the most posters, or deliver the most leaflets, which I am fairly sure does not influence voters. I actually feel this strategy is counter productive, a bit like spamming, and I would personally prefer a ‘lesser is better’ approach to the campaign. At the same time, we also need to show we’re serious and capable of holding our own against the big parties. As an independent candidate we are underdogs in almost every way. We have no party backing, no party funding and everything is taken on by the family. 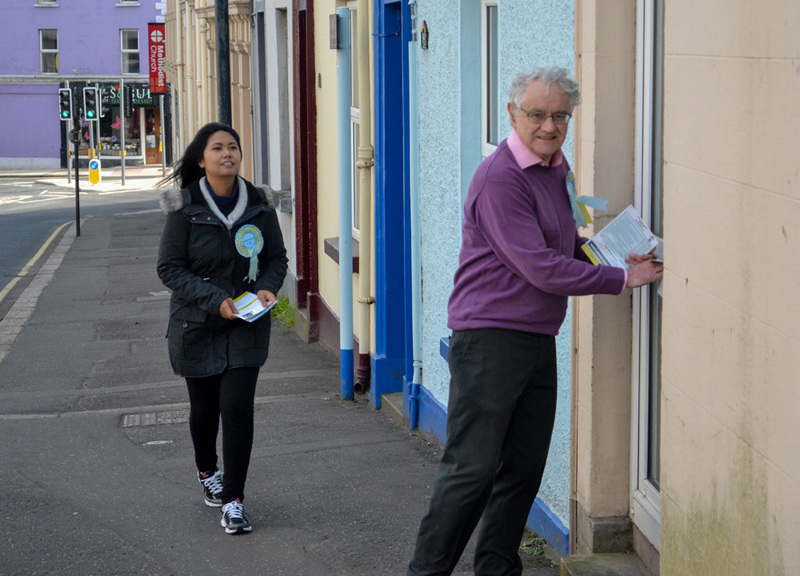 This therefore means a hell of a lot of work and throughout the one month campaign we have managed to deliver five different printed newsletters and leaflets throughout the constituency and put up 200 posters. This strategy is pretty much for vote retention more than anything but this also the most important part of the campaign. We need to retain our past voters before looking to win new ones. So looking at the loose numbers the last time he stood as an Independent he won 1,350 first preference votes and we therefore need to gain a fair few more to stand a chance in the election. But these previous results were back in 2003, and things will have changed dramatically. Unfortunately there are few better figures to go by. Fortunately it is now spring here which means there are occasional spells of sunshine between the rain, hail, sleet and snow. We even sometimes have all found seasons on the same day (this is typical Northern Irish weather). So between sunny spells I have been working to target new and different audiences through online media. This is where being Independent has it’s advantages where party candidates are held back by election committees, rules, and budgets set by central parties. We on the other hand, can do whatever we want. So I like to get creative with this part of the campaign and pretty much all of this is done through Facebook (you’ll not influence normal folk on Twitter). 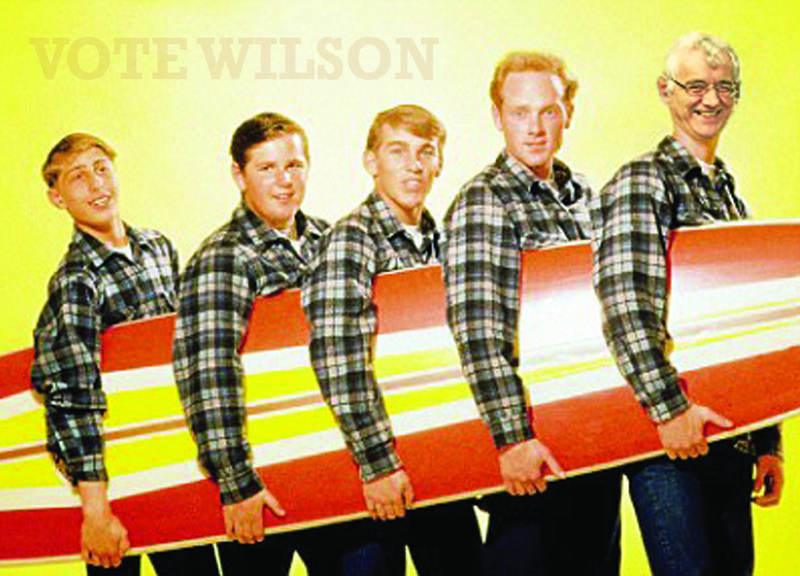 So I have went the young folk with memes and got on a running joke where Brian shares the same name as a Beach Boy. All kind of lighthearted and fun stuff. I also target environmentalists with his environmental credentials etc. There are seemingly endless ways to target on Facebook. Anyway, it has shown significant success so far where in the past week we reached more than 30,000 people in the constituency and created 4,700 post engagements (likes, comments, shares). Part of this is through a Facebook video with click-bait scenes along our local coastline (YouTube version shown below) and alone it has been viewed over 15,000 times and created near 100 shares. And these are people from outside our usual reach. So we are looking to gain and, if all goes to plan, win the election. But a win will be similar to Leicester City’s success in the Premier League. Miracles do happen. Update, no miracles this time, but we still beat 7 other party backed candidates, which is still a hell of an achievement. Now to enjoy my retirement.